On a still summer morning, the lake lies like glass. The sun has peeked over the hills to light your campsite and warm the air. The mist begins to burn off, drifting like lace before an imperceptible zephyr and swirling up in wisps. You almost regret fetching water for the morning coffee, because of the ripples that mar the perfect reflections of stone, tree and sky. 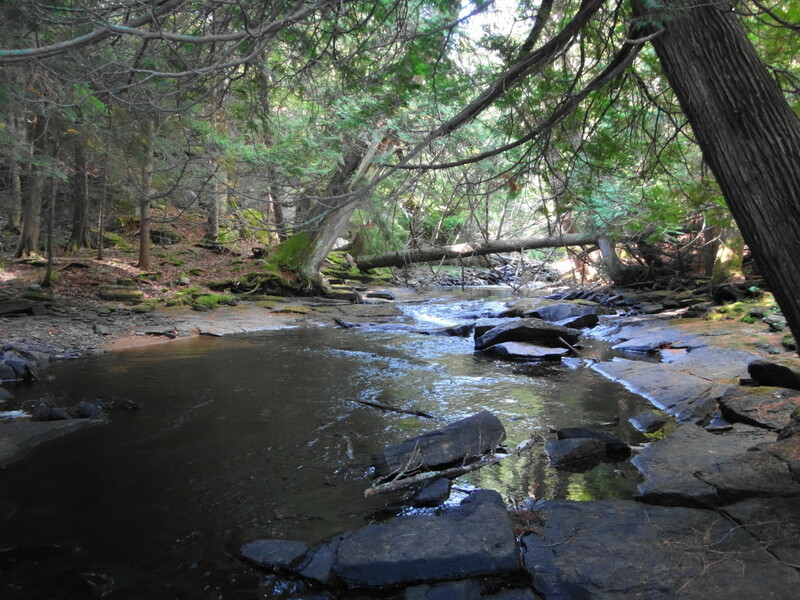 The Barron River flows east out of the quiet, north side of Algonquin Park. Being much less accessible to visitors from Toronto, the north and east sides of the park receive much less use than the Highway 60 corridor. For visitors from Ottawa, they offer a chance to experience the park free from crowds, tour buses, and other traffic. The campgrounds feel more open, cleaner and less claustrophobic. Everything seems slower and more simple. The turn-off for the Barron River lies just over an hour and half north of Ottawa on the Trans-Canada Highway, 13 kilometres past the Town of Pembroke. A turn on to Doran Road, followed by a quick right turn, leads to County Road 28. After nine or ten kilometres, the pavement changes to a good gravel road and County Road 28 becomes the Barron Canyon Road. The Sand Lake Gate to Algonquin Park lies another 18 km up the road. 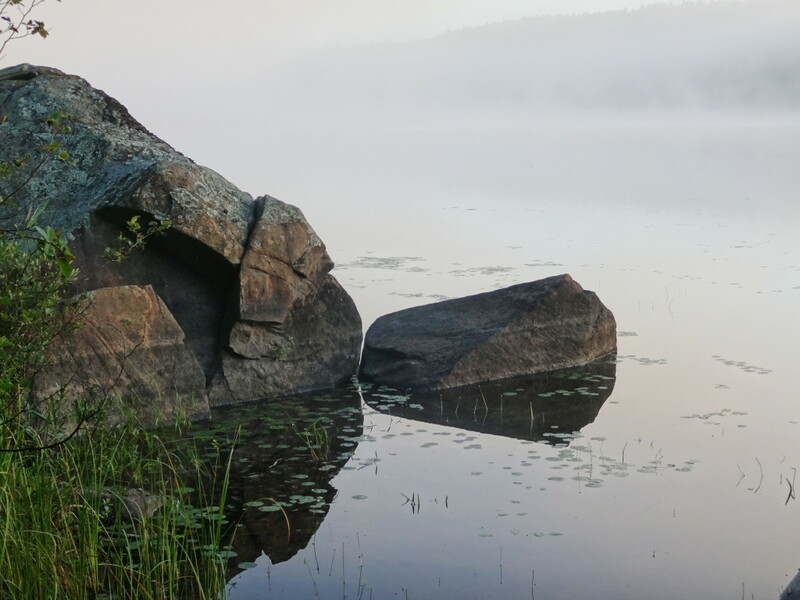 Day trippers can obtain a visitors permit at the Sand Lake Office, while those with reservations can pick up their camping or backcountry permits. 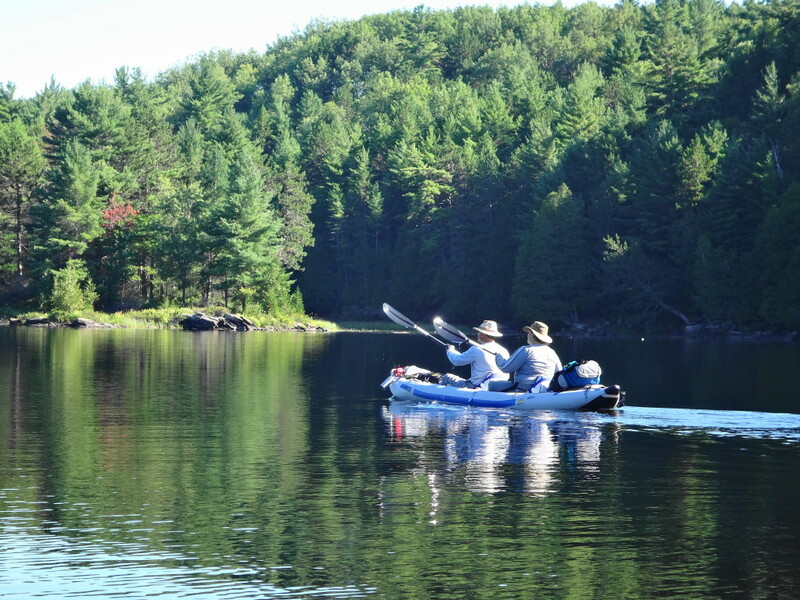 Many visitors to the Barron River travel only 2.5 km past the gate to the Squirrel Rapids parking lot and access point, for a day paddle up to the Barron Canyon. 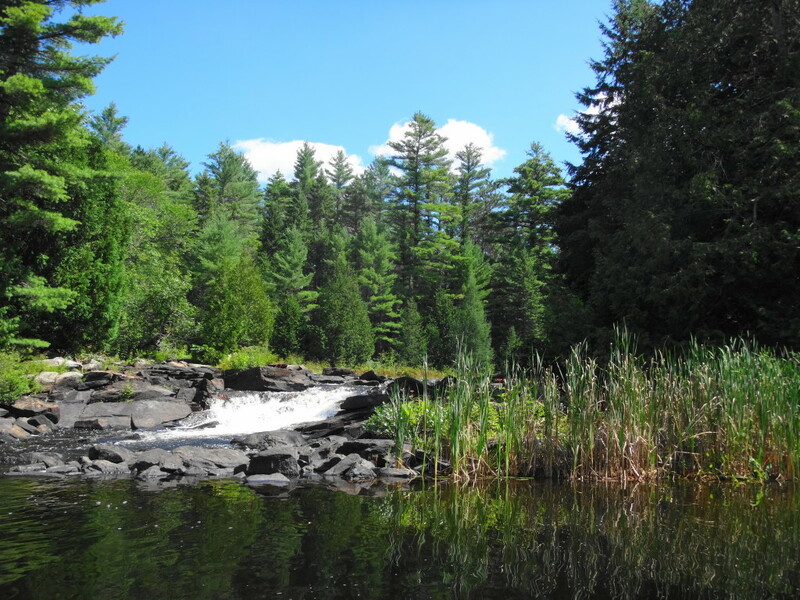 The flat water trip takes about six to eight hours return, factoring in an easy 420 m portage around some falls, maybe a try at the bass in the marsh above the falls, with time for a relaxed lunch and swim in the canyon. The Barron Canyon formed after the last ice age, carved by an immense, sand-laden river of cold, glacial water draining from the Great Lakes. 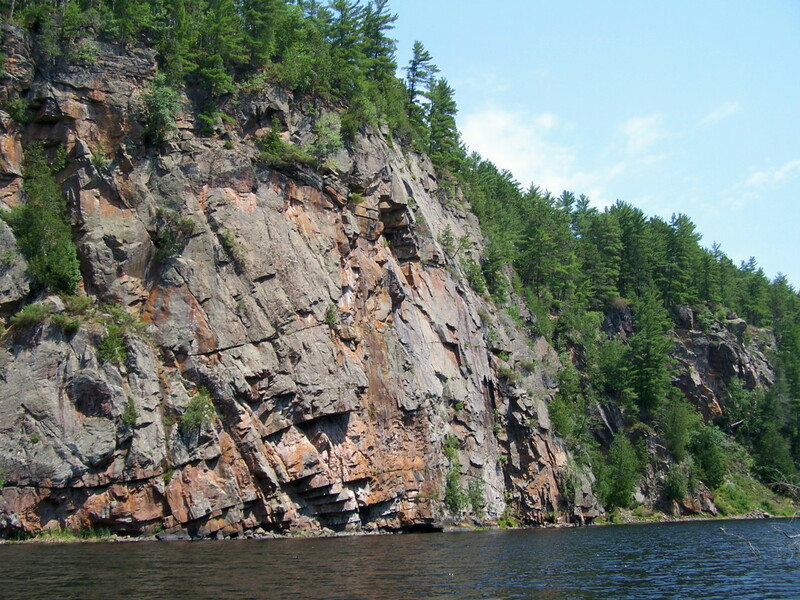 100 m high cliffs climb straight out of the water, stained with orange lichen and topped by dense pines and cedars. Ravens soar overhead. Trailing a free hand along the stone of the canyon wall, one feels the age and weight of the earth. 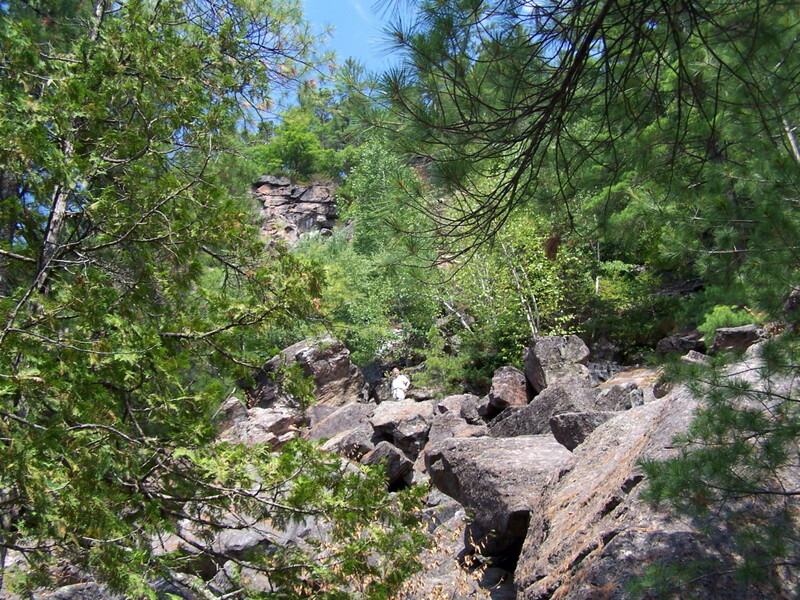 Several canoe-in campsites lie along the river below the canyon, available by reservation. Other resting spots offer themselves along the way. But I prefer to stop for lunch in the heart of the canyon, where a tumble of huge boulders offers a small pull-out, a swimming hole, and a flat picnic spot just above the river. Eating a sandwich in the warmth of a 4.5 billion year-old star, on billion year-old stone, in a 10,000 year-old canyon, I find comfort and satisfaction in the triviality of my own existence. 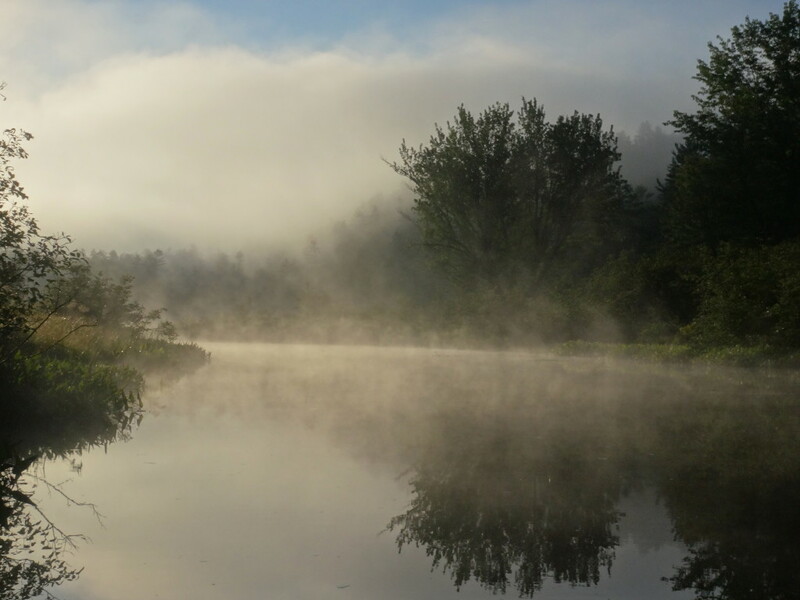 Backcountry camping is available all along the Barron River. 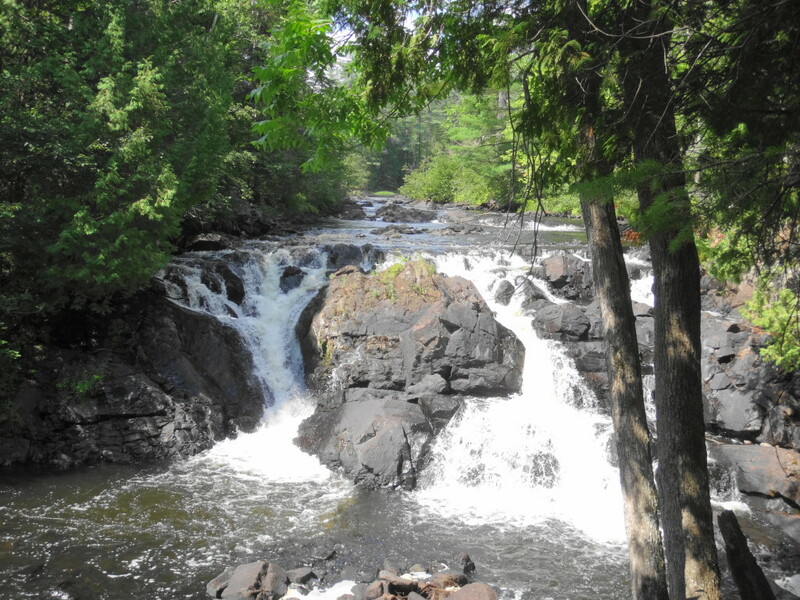 Achray Campground, 25 km past the Sand Lake Gate, offers a good starting point for a trip down to Squirrel Rapids. A one-way trip could be accomplished in anything from one to four days, depending on how hard one wished to work. Personally, I prefer to take a full day to traverse the five portages between St. Andrews Lake and Brigham Lake. None are long or onerous, but they add up. 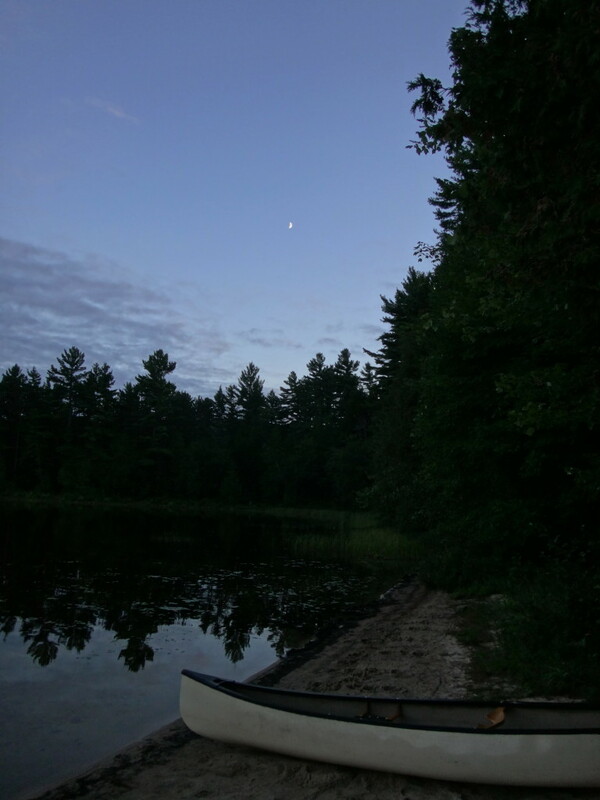 Even more, I can’t imagine missing the evening paddle along the shoreline in twilight, after setting up camp, eating and washing the dinner dishes. Or rising before dawn to watch the dawn wash the hills and sunrise glitter on the dew of a cobweb. 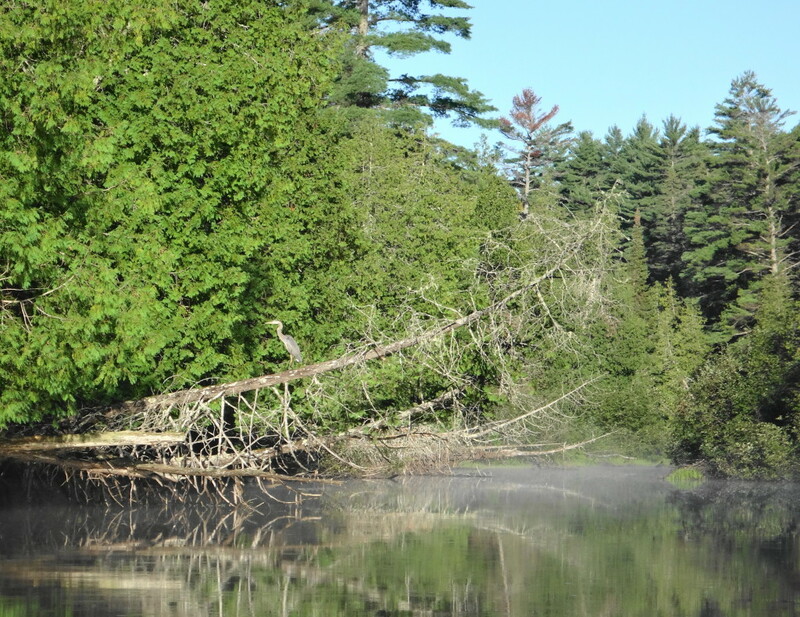 Scenery along the Barron River equals that of any place in Algonquin Park. 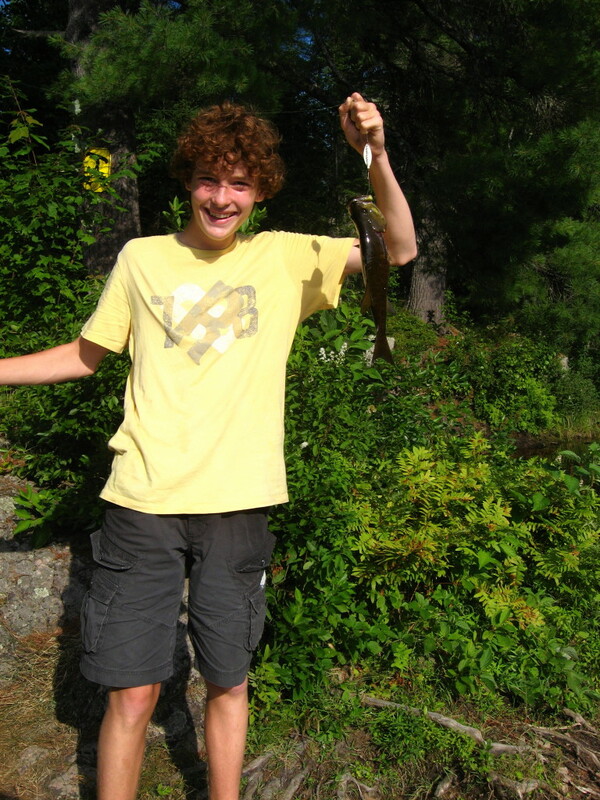 Wildlife abounds, although moose are infrequent. Waterfalls and cascades separate the stretches of flat water. The autumn colours dazzle against the dark conifers and reflect in the still river. Bring a camera, canvas and brushes, paper and pencil. Bring an open heart and time to fill it.